eCustomRim Rim 14X5.5 J 5-4.5 Galvanized Spoke 2200# 3.19CB 75PSI by eCustomRim at Daily News Miami. MPN: 58057-1. Hurry! Limited time offer. Offer valid only while supplies last. 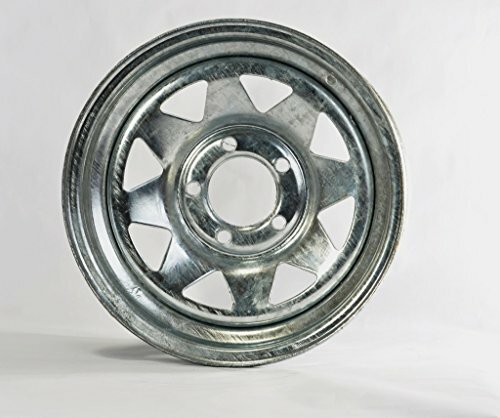 Trailer Rim 14X5.5 Steel Galvanized Spoke 5 Lug 4.5'' Center 3.19''CB 2200#. Rim Size: 14'' X 5.5''. Bolt Configuration: 5 Lug 4.5'' Center. Offset: 0''. Wheel Max. Load: 2200 Lbs. Offset: 0"
Steel Rim. Torque Specifications: 90-120 Ft/Lbs.